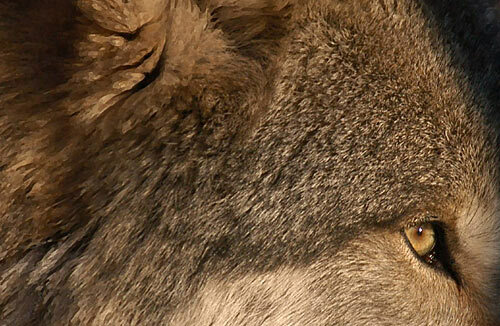 A closeup portrait of Ingo won in the Digital, Animal catagory at the 2005 Florida State Fair Photography Competition. 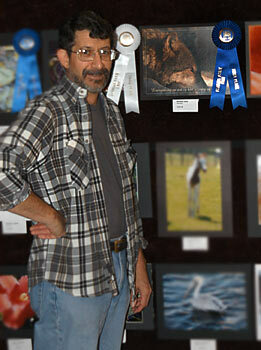 The photographer, Gary Borland has visited Wolf Timbers numerous times and is also redesigning the Wolf Timbers web site. 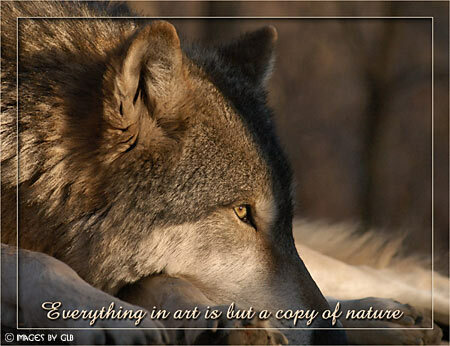 The photo blends from an artsy painted image around the border, to a sharp photo image around Ingos eyes. 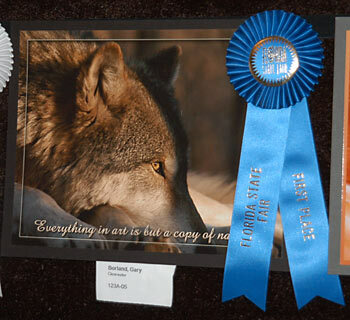 Gary adopted the "Everything in Art is but a copy of Nature" title for the competition. outer area with a Brush effect.